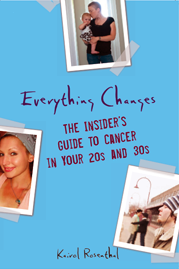 Everything Changes – The Guide to Young Adult Cancer » Facebook, Twitter, & Cancer: Fluffy or Smart? 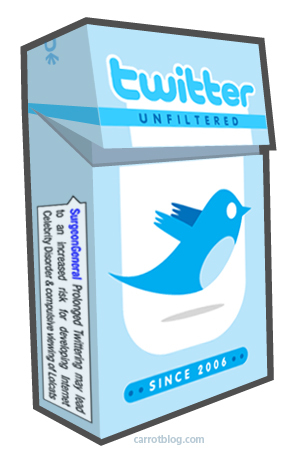 Facebook, Twitter, & Cancer: Fluffy or Smart? Facebook and twitter (like a phone or radio) can be used as fluffy, brain draining diversions, or to have sophisticated conversation about issues like access to affordable care and clinical trials. So how do you use social networking to be an educated and effective cancer activist instead of a slacktivist? The problem with these online campaigns is popularity does not equal value. The popularity of a project, a person, or organization has zero to do with their efficacy, necessity, skills, or smarts. Plus, cancer is about much more than contests, awareness campaigns and fundraising. In fact, most cancer issues that impact our lives are about science, industry, politics, prioritized evidence-based research, and policy. If you don’t understand these words and how they relate to cancer, you will not significantly impact the future of cancer prevention, outcomes, and quality of life measures. Keep track: For each tweet or facebook message you post or comment on, spend five minutes reading a journal or news article about healthcare policy or scientific research. The topics and jargon may seem foreign, but the more you read the more you’ll understand. If you don’t have this much time to spend reading, then you’re spending too much time on twitter and facebook! 2. Retweet Only What You Read. Retweet information only if you have read the entire article/post, have an opinion about it or can ask an intelligent question, know who wrote it and their motives, and think it’s valuable to others. You’ll have fewer tweets/updates going out which in turns elevates the quality, rather than quantity, of conversation in the cancer community. I don’t waste my brain or clog my inbox by joining any old facebook group. Before supporting an organization ask: Is the staff or director spending more time on facebook and twitter than working on the backbone of their mission? Are they filling a niche high on the list of cancer priorities and goals? Are they willing to speak up on controversial issues if it benefits their constituents? Will they educate me? @bcaction @cancerandcareer are great orgs doing it right! E-letter and online petitions hold very little weight with elected officials. If you get an online petition, research the cause and if you support it, call your representative and write a letter to the editor. I still subscribe to daily and weekly email updates from professional sources and journals. Why? Because the smartest, most effective people I know are not spending their time twittering or on facebook. They’re engaged in science and policy and write more than 140 characters about their discoveries. How much time do you spend on facebook or twitter. Do they change your knowledge or feel like a brain drain? Any tips for making the most of social media? For more tips about how to spend your cancer time online, read Everything Changes: The Insider’s Guide to Cancer in Your 20s and 30s. Thanks Jody! Practical and focused – good goals in the miasma of the busy internet. I still think that there is a place for awareness raising. I have known too many ovarian cancer patients, no longer with us, who might be here if they, or their doctors had known to consider OC as a possible diagnosis. I also find too many young breast cancer survivors or those with BRCA in their families who do not know of the link between BRCA and OC. Personally I do lots of less “fluffy” stuff (I’m headed up to the Hill again soon) but I am still very committed to my super fluffy awareness campaign. Thanks for your comment Ms. Teal Toes. I have never seen scientific research showing that there is any effective early detection for ovarian cancer that reduces mortality rate. You know the world of ovarian cancer much better than I. I bet readers (myself included) would greatly appreciate any links you have to scientific research showing effective methods of early detection for patients and doctors. I know that at the 2010 ASCO Conference (American Society of Clinical Oncology) taking place less than a month from now – there is going to be a presentation on a new lengthy study done using CA-125 baselines and regular follow up test results as a possible method for early ovarian detection. I’m glad that is some progress being made in this direction. “The likelihood that a breast and/or ovarian cancer is associated with a harmful mutation in BRCA1 or BRCA2 is highest in families with a history of multiple cases of breast cancer, cases of both breast and ovarian cancer, one or more family members with two primary cancers (original tumors that develop at different sites in the body), or an Ashkenazi (Eastern European) Jewish background (see Question 6). However, not every woman in such families carries a harmful BRCA1 or BRCA2 mutation, and not every cancer in such families is linked to a harmful mutation in one of these genes. Furthermore, not every woman who has a harmful BRCA1 or BRCA2 mutation will develop breast and/or ovarian cancer. According to estimates of lifetime risk, about 12.0 percent of women (120 out of 1,000) in the general population will develop breast cancer sometime during their lives compared with about 60 percent of women (600 out of 1,000) who have inherited a harmful mutation in BRCA1 or BRCA2 (4, 5). In other words, a woman who has inherited a harmful mutation in BRCA1 or BRCA2 is about five times more likely to develop breast cancer than a woman who does not have such a mutation. Lifetime risk estimates for ovarian cancer among women in the general population indicate that 1.4 percent (14 out of 1,000) will be diagnosed with ovarian cancer compared with 15 to 40 percent of women (150–400 out of 1,000) who have a harmful BRCA1 or BRCA2 mutation (4, 5). As I’m sure you know, there are many carcinogenic compounds in nail polish. I recently read about a Nail Polish Exchange where you can trade in your old toxic crap for Zoya polish with way fewer toxins. It’s free. http://ow.ly/1Iewd They have a zillion colors and I bet they’ve got teal too! I’m not talking “early detection” (pre-cancer), which would be great, but the difference between Stage I or II and Stage III+ or IV. Once there is a tumor detectable but no one thinks to look because the assumption is that it is an intestinal thing or something else. I hear way too many of those stories. Since OC does tend to strike older, it is still hitting an older generation who doesn’t like to talk about the “c” word period much less when it involves “female” problems. We are still fighting that battle a lot too. I send folks to http://www.facingourrisk.org for great BRCA info. One of the reasons that stats seem a bit wonky is that they are continually finding new BRCA mutations. Someone who was screened 5 years ago might have been done with now out of date lists, so to speak. My (non Ashkenasic) family’s mutation was found in 2005. Re polish, I have found that MANY brands are “Big 3″ free (partially because this is required in Europe). But many/most don’t “advertise” this. I surmise it is because they are marketing fashion and find it ancillary.